Samsung is unveiling the Note 8 on August 23rd, and we already have an extremely clear idea of what it'll look like. Now, we might even know its specs. VentureBeat’s Evan Blass published what he expects to see from the Note 8, going off of information from someone who was briefed on the device's configuration. Last year, Samsung emphasized its bigger 3,500mAh battery in the Note 7. This year, it's scaling back for obvious reasons. 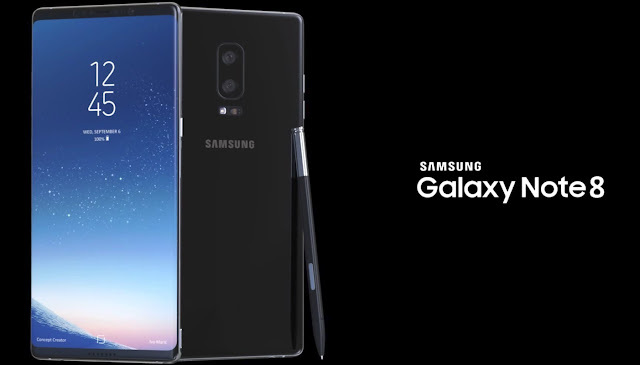 Instead, it's relying on the camera to be the device's standout feature, as well as the same Super AMOLED display technology we saw with the Galaxy S8. The Note 8 is slightly larger than the S8 Plus, which was 6.2 inches, but it includes the same bezel-less design with square corners. The notable difference between the devices are the camera systems and the S Pen support on the Note 8. Like the S8, the Note 8 also features a rear fingerprint sensor on the back of the device, directly next to the cameras. This isn't great for fingerprint prevention. With these specs now out, there isn't much left to learn at Samsung's event, but maybe there's a chance the company will surprise us with something.